Honda DN-01 - What is it? All the following are official Honda brochures, pictures and links and are subject to worldwide copywright by Honda Corporation. As such they are totally unmodified or molested in any way from the original in respect of the copyright. "Introducing the future of motorcycle technology, Honda has developed the epoch-making DN-01 featuring the most advanced fully automatic transmission ever for a two-wheeled vehicle." Honda DN-01, 2008 & 2009. So what do you think? The future of motorcycling? My view, for what it's worth, is that it isn't far off. Give it a screen that comes up higher and offers more protection (Givi have already got one for it), some useful stowage space and around 65-70 bhp and THEN it would be much closer to the bikes that urbanites would WANT to buy. They love posing and the style, they love speed and power, but, they need a level of practicality (though they will never admit as much). So nice try Honda, that'll be 8.5 out of 10. So here I am revisiting the DN-01 in mid-2012. The bike flopped in UK sales terms. Even heavily discounted Honda just could not sell them and rumours are that instead of making £9k per bike Honda managed in the region of £6.5k. The DN01 was better received in Europe where style appears to count more that performance, but even there the tally of bikes sold wasn't high enough to to spare the DN01 the chop from the Honda range. But the DN01 has left a legacy. The automatic gearbox (in updated form) has made it onto the NC700 and Integra, and those models have moved Honda away from the long cruiser/scooter concept that was the DN01, sand importantly, away from the Deauville v-twin format engine to the new Jazz (car) based unit with low rev and high torque characteristics. The NT700 has earlier this year been dropped from the USA bike market after just 2 years following disappointing sales and dealers across the UK are experiencing problems getting new bikes from Honda to sell. Will the Deauville now follow the DN01 into the history books of oblivion - production has only ever been around the 9,000 units per year. Are we going to see a replacement fitted with an engine derived from the NC700 parallel twin? We will have to wait and see. 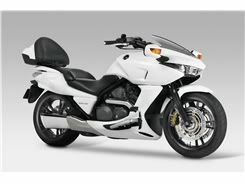 Click here For Motorcycle News, video review of the DN-01 from Honda. They had it on their test fleet! Click here 2009 - A full review with specifications of the 2009 Honda DN-01. Click here A quickie review of the 2009 Honda DN-01. Click here A full (London) review of the Honda DN-01. 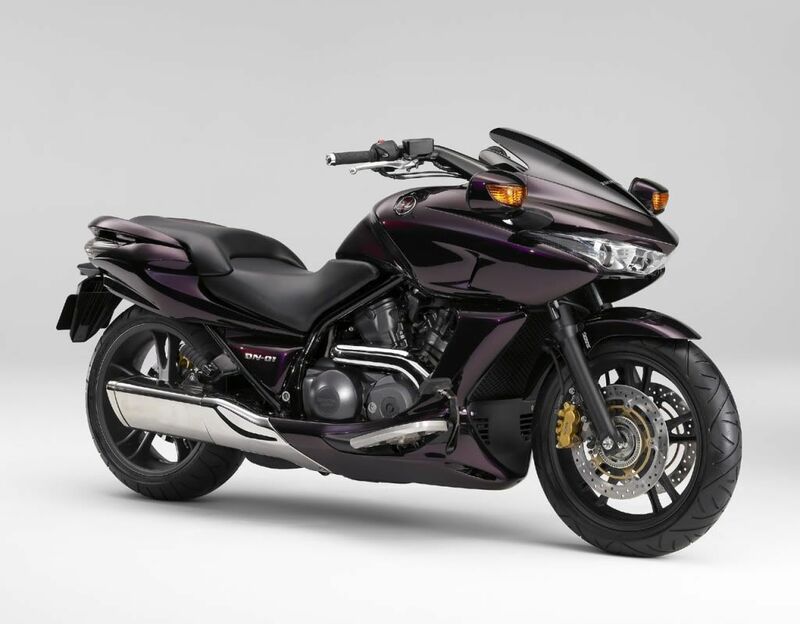 Update October 2014: Well the NC700 parallel twin was duly released by Honda in 3 guises, all using the same mechanical parts (in the main) and chassis, and it was… heavily promoted by the press but not so well received by the buying public. 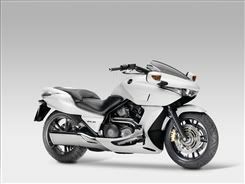 However, it did sell well enough to kill off the NT700 Deauville and the NC700X killed the XL700 TransAlp. But, just about a year after launch Honda decided that the reason for the poor sales was in its own line-up, the newly revised and extended 500cc range was strangling the sales of the 700 as performance was so very similar. So Honda upped the NC700 range to 750cc with a bit more power but not much else, but that appears to have bucked up sales in the UK a little bit. One day Honda will realise what I have been saying quite loudly for many years, if they want a killer combination then make the NC750 deliver 75bhp and 75mpg and give it a fuel tank of 20 litres (or more). I have never bought a new bike but that is one I would buy new (in an NC750X guise). Click here to go to Motorbikes home page.